Isn’t it time you learned to meditate properly? As a meditation teacher, I have read all the best meditation books ever written. And I know what makes a great meditation book. That is why I went ahead and wrote the best meditation book of 2019. It’s called Your Best Meditation: Book Of The World’s Top Meditation Techniques. In this book I teach you all the best meditations. Plus, I will help you to change your life. I will show you how to use meditation to make your life even better. Learn to meditate properly today with my new meditation book. ABOUT: Meditation teacher Paul M Harrison teaches you to meditate properly in easy-to-follow guides. Plus, learn the world’s top meditations. Think you know meditation? You will discover something new in this book, that’s a guarantee. It’s the best meditation book in 2019. Did you know that even in 2018, an estimated most meditators are meditating the wrong way? Do you know for certain that you are meditating properly? Are you sure you are doing the right meditation for you? 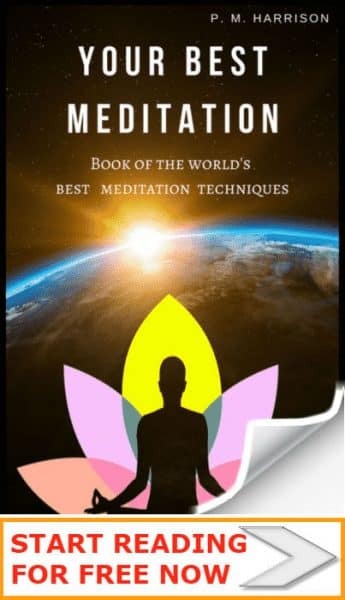 In Your Best Meditation, the best meditation book of 2019, meditation teacher Paul M Harrison shows you how to meditate properly, and teaches you the world’s top meditation techniques so you can find the best meditation for you based on your unique and individual situation in life. Your Best Meditation is the book you need to read if you want to learn how to meditate properly. Let me ask you a question: Are you meditating properly? Yes, you’ve read some blog posts and some article about meditation. But there’s so much more to it than that. If you re like 63% of meditators, you are probably meditating the wrong way. Time to stop meditating wrong and start mastering your own mind. 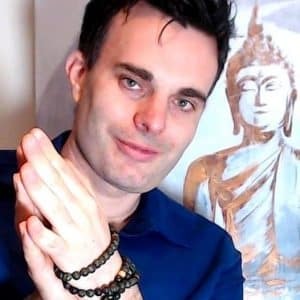 In Your Best Meditation, meditation teacher Paul M Harrison will teach you everything you need to know about meditation so you can start meditating properly today. In Your Best Meditation: Book Of The World’s Top Meditation Techniques, you will discover the best meditations the world has ever known. You might be new to meditation. Or you might be looking for a new way to meditate. Perhaps you’re really interested in learning how to meditate properly. Years ago, before I became a meditation teacher, I spent ages trying to learn how to meditate properly. It just wasn’t working for me, you know? I spent years learning all the world’s best meditations so that I could master my own mind. I went from being stressed, depressed, and under-confident, to loving life, living every moment to the max, and yes, becoming enlightened. I wanted to share my knowledge so that you can learn meditation even if you have never meditate before. That’s why I wrote this book. And it’s why I poured my heart and soul into creating the most easy-to-follow guides to all the best meditation techniques. Here’s what I promise you: Even if you have never mediated before, or if you have meditated but it didn’t work, you will learn how to meditate correctly by the time you have finished this book. Stop meditating the wrong way. Learn to meditate properly with Your Best Meditation, the best meditation book for 2019. I poured my heart and soul into creating this, the absolute best meditation book in the world. A book to teach you all the world’s best meditation techniques. And you guys have been loving it. With your support from the proceeds of this book, I have been able to grow. I now teach meditation to people all around the world. And do you know what? I love you all for the support you have shown me. Your kind emails that you have sent me telling me how much this meditation book has helped you… it means the world to me. I always wanted to write the world’s best meditation book, a book that would be one of the top spiritual reads. But I had no clue that it would help so many people. With the proceeds from this book, I’ve been able to keep this website alive. And I’ve every intention of growing stronger from here. Thank you for buying the world’s best meditation book, because you made me so happy. Paul Harrison’s deepest passion in life is to teach meditation. Why? Because meditation is the key to self love, compassion, happiness, and enlightenment. Paul has poured 15+ years of experience meditating into this book so that you can learn meditation properly, so that you can find deep and lasting happiness and inner peace.